I thought for a minute MiMi wasn't going to make any fudge for St. Pat's. She started a tradition with the 2 Ingredient Football Fudge for the Super Bowl, then the Valentine's Pink Two Ingredient Fudge and the 3 Layer Mardis Gras Fudge. 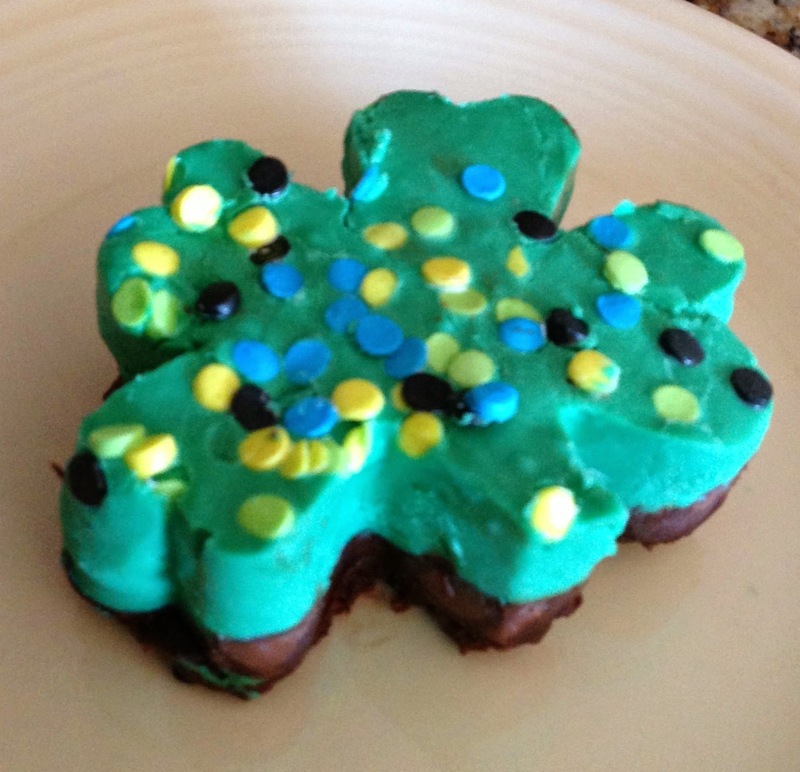 She even eluded to a fun idea for St. Patrick's day after she made the Mardis Gras Fudge. I have to admit I was a little sad when I thought she really might not do it. But low and behold... today in my email there were pictures. She made the fudge, people! The tradition continues! This one has four ingredients because there are two layers of yum. If you haven't been following along on the holiday fudge ride, this is the easiest fudge you will ever make! I just tried some and it was the perfect combination of mint and chocolate. You know how sometimes the mint can be overwhelming? Not here! Just right! Pour into a greased 9 x 13 pan. Spread evenly and refrigerate until firm. The microwave makes it so easy! Thank you for hosting.